Students with disabilities in grades 6-12 are invited to attend a Science, Technology, Engineering and Math (STEM) Career Showcase Wednesday, October 15 from 10 am to Noon at the North Carolina Museum of Natural Sciences in Raleigh. Attendees will have the opportunity to meet role models and learn more about STEM careers and many professional possibilities. Keynote Speaker: Ed Summers, Senior Manager of Accessibility and Applied Assistive Technology at SAS, will deliver a keynote on his professional journey in the technology field. Learning opportunities include a panel discussion of role models and a game show format with college students sharing tips for transitioning from high school to college. Registration is open through September 30. Space is limited to 200 students. There is no charge, but preregistration is required. Learn more about the agenda and register online today. Can’t attend in person? Watch the event live and submit questions to the panel via the Museum’s Livestream portal. The Official Reflections Kick-Off Celebration during National Arts in Education Week will promote whole-school participation in arts programs and activities. The campaign will also raise awareness about the value the arts bring to a high quality, comprehensive education. During the school week, each day will focus on a different arts category. PTAs are encouraged to host daily activities engaging students in each art form―providing opportunities to promote the Reflections program theme and participate in the Reflections awards program. Share activities and ideas with community leaders and in social media using #StartTheArts. 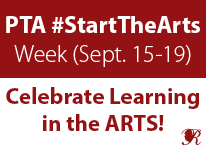 Customize the PTA Start the Arts flyer and media advisory to announce week-long activities to the whole school community. Post the facebook cover photo, web ad and web banner on school, PTA, and personal pages. Distribute the new Reflections Program Flyer to promote Reflections around the school and community. Read National PTA’s One Voice blogs about current issues and trends in arts education. 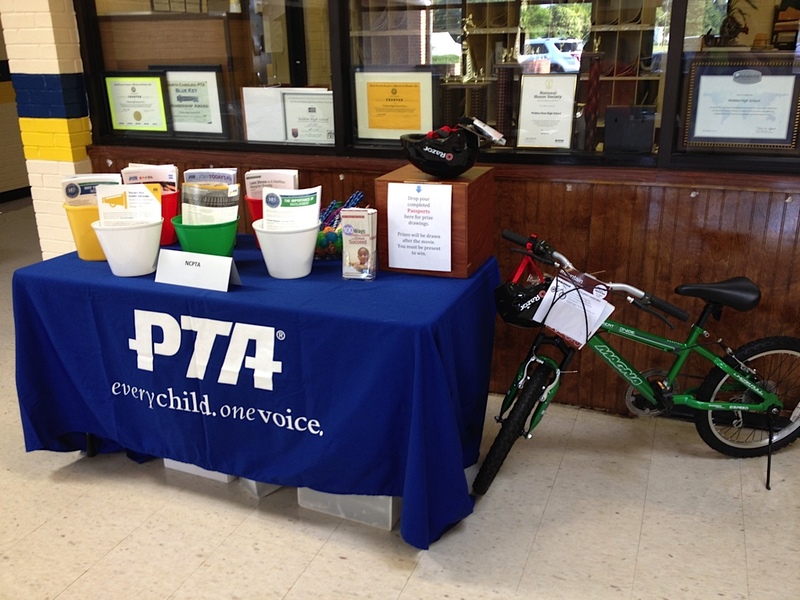 Join the PTA Twitter Chat on Monday, Sept. 15 at 9 p.m. Follow #StartTheArts and tweet @NationalPTA. Hundreds of students, parents, school and community leaders in Weldon joined together at Weldon High School on August 14 to jumpstart a healthy new school year. The event was hosted by NCPTA, Weldon City Schools, and Weldon City Police Department. 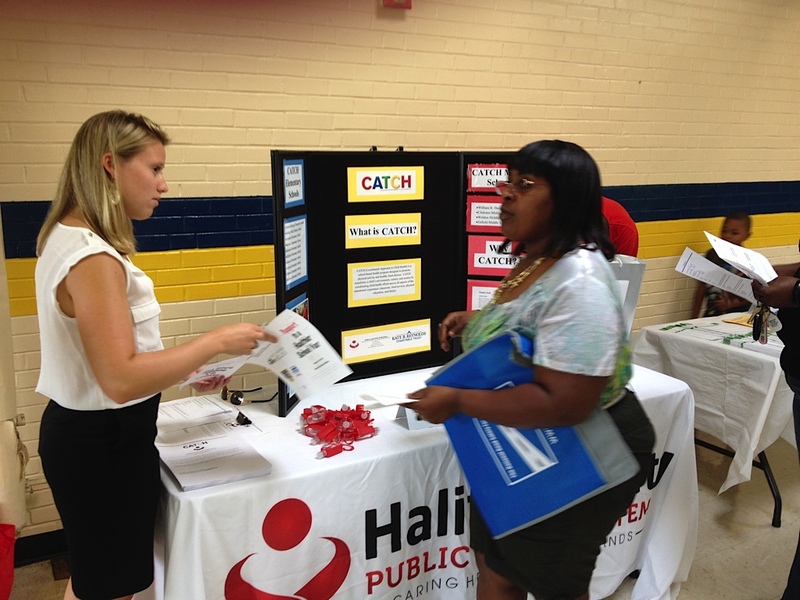 Many community resource friends displayed booths with helpful information on healthy living and student services. Parents received tips on student nutrition and the importance of exercise.Students were treated to prizes for knowing answers to health trivia questions. 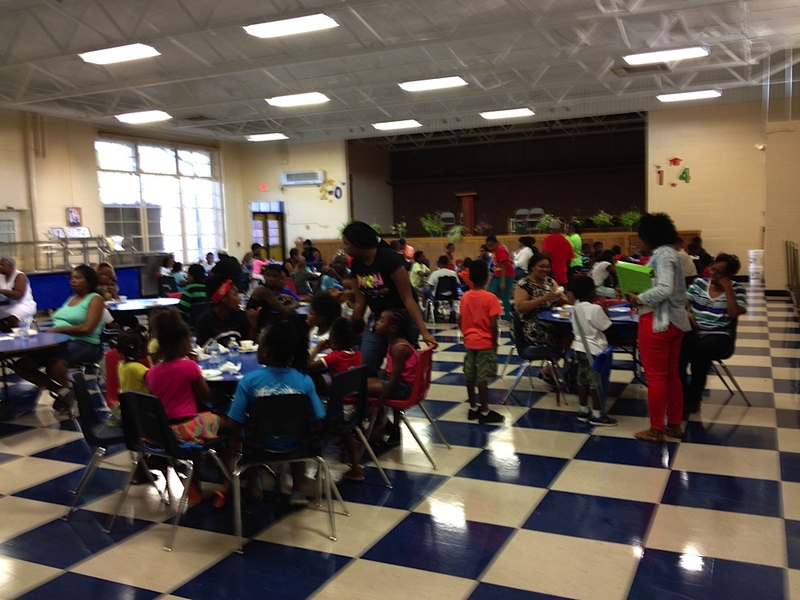 Everyone enjoyed dinner and a movie along with school supply prizes and new bike giveaways. Samples of healthy snacks made up a trail mix concession stand during the movie. 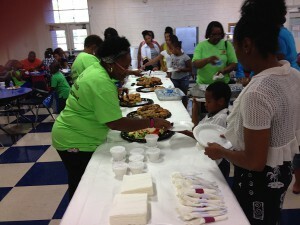 The message of the evening was a healthy lifestyle will help make a successful school year for everyone. Five PTAs in North Carolina recently received the School of Excellence Award from National PTA. This prestigious award recognizes partnerships between PTAs and schools that worked to achieve our shared vision – to make every child’s potential a reality. Learn more about the National PTA School of Excellence Program. National PTA participated in the White House Symposium on Transformative Family Engagement last month. Hosted by the W.K. 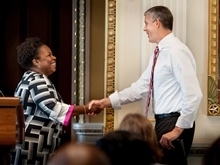 Kellogg Foundation and the White House, the goal of the July 31 symposium was to expand the national conversation about transformative family engagement as a major contributor to children’s school readiness and success. Philanthropic, research and other experts met with a small group of administration officials—including U.S. Secretary of Education Arne Duncan, White House Domestic Policy Council Director Cecilia Munoz and Deputy Assistant to the President for Education Roberto Rodriguez—to discuss achieving educational equity for children, particularly those from low-income families, through transformative family engagement. Transformative family engagement is a shared responsibility of families, schools and communities to help students learn and achieve. It is a continuous process from birth to third grade and beyond, and occurs across all the settings where children learn—creating environments that support parents and families as strong leaders and advocates for their children. During the symposium, participants examined successful family-engagement practices and the barriers that parents and caregivers might face when attempting to engage in their children’s education, highlighting the differences between “traditional” family-engagement methods, where parents are not usually seen as partners in learning and “transformative” engagement strategies. NCPTA proudly announces that Wake Forest Elementary PTA of Wake County was awarded a $2,000 National PTA Healthy Lifestyle: Energy Balance 101 Grant. 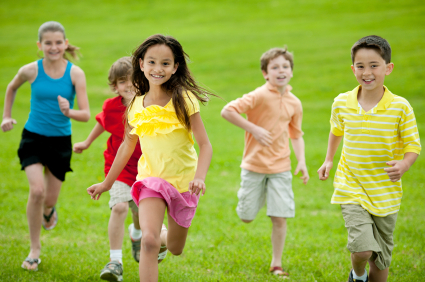 The goal of this grant program is to provide local PTAs with resources to educate families on the importance of energy balance, good nutrition, and physical activity to achieve an active, healthy lifestyle. It also aims to empower families to partner with schools to advocate for and support the implementation of healthy changes; provide families with tools to create an environment at home that supports the positive changes at school. The November elections are right around the corner, and you may be wondering what advocacy activities are appropriate for PTAs during this election season. You want to be involved but you also want to know the rules. If this sounds familiar, our PTA Votes webinar may be for you. PTAs can and should advocate but are prohibited as 501(c)(3) organizations from engaging in political activities or endorsing political candidates. Join NCPTA attorney and lobbyist Ashley Perkinson for a PTA Votes webinar on PTA advocacy activities during election season. Join NCPTA Treasurer Sarah Martin to explore a series of topics related to building strong financial policies and practices for your PTA unit. Find out what your bylaws require of your Treasurer, Board and your entire association. Over the course of this series, we’ll discuss ways to help your PTA get financial matters in line for a great year ahead. Feel free to register for individual webinars or join us for the whole series. Get your PTA finances set up for success from the start of the school year. This is definitely not just for Treasurers. We also recommend this webinar series for PTA presidents and all PTA board members. All of these leaders have fiduciary responsibility for your PTA unit. If you have a PTA Financial Review Committee in place, they would also be ideal candidates for participation in the learning series. Are you taking the right steps for advocacy and voter education in your community? Get organized with a helpful timeline and resources from National PTA that will help leaders and members plan community engagement activities leading up to an election. Learn more about what your nonprofit can and can’t do around elections, ballot measures, town halls, candidate forums and other election activities. This timeline will help your PTA organize itself for its election related community engagement activities. Permissible Activities Checklist (PDF): An overview of what nonprofits can and cannot do around elections. Candidate Appearances (PDF): Provides guidelines on inviting candidates to appear at your events. Hosting a Candidate Forum (PDF): An in-depth guide with step-by-step instructions on planning a candidate forum, including what nonprofits can and cannot do. Nonprofits and Ballot Measures (PDF): An overview of what actions nonprofits can take around ballot measures. Nonprofits, Voting, and Elections (PDF): Explains the actions that nonprofits can take surrounding voter participation and member election education. Meet Mandy Patterson! She joined the board of directors of the North Carolina PTA this year after a long history of PTA membership and volunteer accomplishments. Mandy has been involved with the PTA for 8 years. Her previous leadership roles include president, treasurer, vice president of family nights and fundraising and various committee chair positions at both the elementary and middle school levels. She currently serves as treasurer of the Wake County PTA Council. 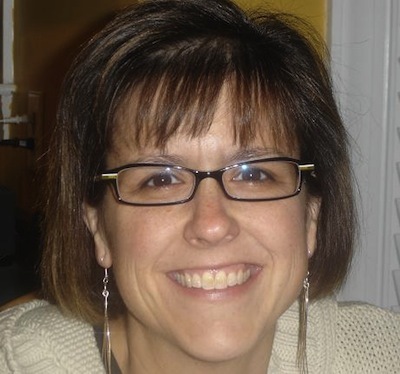 Mandy resides in Cary with her husband, Chris, and their three children who attend Wake County Public Schools. The family stays active with various other community commitments, including Cub Scouts, softball, and other sports. 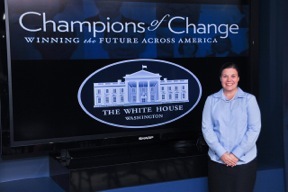 In 2012, Mandy was recognized in Washington D.C. as a White House Champion of Change for her work with PTA and a nonprofit that she started in 2009.